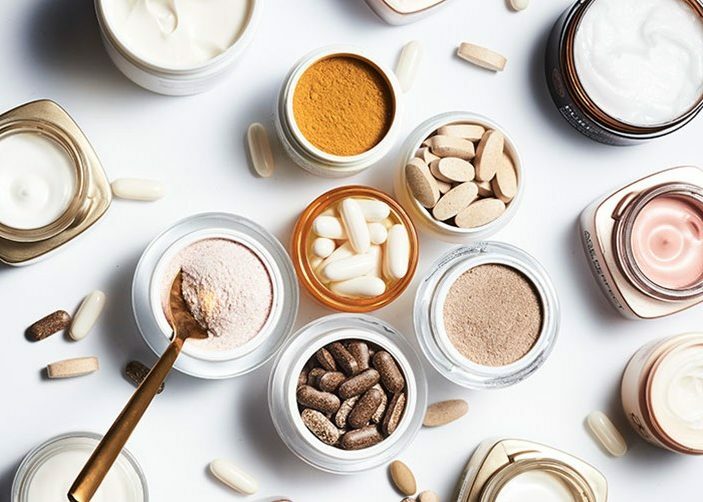 I have been getting a lot of questions on the vitamins and supplements that I am currently using on a daily basis so I thought it would be good idea to put together a quick article on what I currently take and why! While it’s possible to get most of the vitamins and minerals you need from careful food selection and a nutrient-dense diet, it’s not easy! The purpose of a multivitamin is to bridge nutritional gaps in our diet. This helps to support against the possibility of deficiencies in some of the other vitamins and minerals that can result from lack of food variety or reduced calorie intake, as well as increased vitamin loss from exercise. Being deficient in many of these micronutrients can lead to low energy levels and impair muscle growth, strength and fat loss. It can also lead to a whole range of diseases such as anaemia and osteoporosis. Dose: Take 1 tablet daily. If deficient in certain vitamins or minerals, follow your doctor’s advice. Dose: For moderate supplementation, a 1,000-2,000IU dose of vitamin D is sufficient to meet the needs of most of the population. This is the lowest effective dose range. Higher doses, based on body weight, are in the range of 20-80IU/kg daily. If deficient, follow your doctor’s advice. Factors like diet, stress, illness and medications (especially antibiotics) can skew the ratio of good to bad bacteria and lead to disorders such as gastrointestinal distress, inflammation, skin conditions, a weakened immune system and poor recovery, not to mention decreased absorption of vitamins and minerals. Probiotics are “good” bacteria that line our digestive tracts and support our body’s ability to absorb nutrients and fight infection and prevent these things from occurring. Studies suggest that balancing our gut bacteria may also play a role in weight regulation and can affect hormones and proteins related to appetite and fat storage. Dose: Take 1-2 capsules daily or as directed. Fish oil is rich in omega-3 fatty acids which include eicosapentaenoic acid (EPA) and docosahexaenoic acid (DHA). We cannot produce these in our bodies so it is essential that we receive them through our diet or supplementation. Omega-3s provide a vast array of health benefits including assisting in the treatment of various heart diseases, high cholesterol, depression, anxiety, ADHD, weakened immune system, cancer, diabetes, IBD, AIDS, Alzheimer’s disease, eye disorders, and ulcers. They have potent anti-inflammatory effects and play a key role in the treatment of inflammatory conditions such as rheumatoid arthritis (one of the main reasons I take it!). They can also help aid weight loss, healthy pregnancy, fertility and skin care. Ensure that you choose a supplement with a high concentration of EPA and DHA and that has purity and sustainability certifications. Dose: Take 2-3g of omega-3 daily in divided doses. Tip: check the label on the product to find out the amount of active ingredients it contains. For example, 1000mg fish oil usually contains 300g omega-3 which means you would need to take 7 x 1000mg capsules in order to obtain enough active ingredient. Protein has been proven to help weight loss by boosting metabolism and reducing hunger and appetite. But let’s face it, many of us struggle to eat enough and this is where protein powder can really come in handy. Whey protein does not make women “bulky”, instead it can help women increase fat loss, while preserving lean muscle mass. It can also help to build lean muscle and improve workout recovery when used in conjunction with a resistance training program. Whey protein is ideal, however if you have issues with lactose intolerance then plant-based proteins are still highly effective. Dose: Consume 1-2 serves at any time of the day in order to reach desired protein intake. Creatine is a naturally occurring compound found in skeletal muscle (and the brain) and has a role in the regulation of energy production and acts indirectly to help supply the body with ATP (the body’s fuel currency). Creatine monohydrate is one of the most studied supplements and has an outstanding safety profile. Studies show that it can increase muscle mass, strength and exercise performance as a result of its ability to increase stored energy in the muscles. Additionally, it provides a number of other health benefits, such as protecting against neurological disease. Dose: Take 3g pre or post workout. Branched-chain amino acids (BCAAs) are a group of three essential amino acids: leucine, isoleucine and valine which make up 35% of your muscle tissue. Like all amino acids, BCAAs are the building blocks your body uses to make proteins. BCAAs are considered essential because, unlike non-essential amino acids, your body cannot make them. Therefore, it is essential to get them from your diet. BCAAs are can be used to prevent muscle breakdown, and replace the nutrients lost during intense training, in order to promote rapid and effective recovery. If your goals are mostly focused around general health and fitness, you probably don’t need to be take taking BCAAs, as long as you are eating an adequate amount of protein in your diet. However, if you are trying to lose fat while maximising lean muscle retention, you train fasted (like me), you are on a low carb diet, or you just want to maximise your training performance – you should definitely consider adding BCAAs to your supplement routine. Dose: Take 1 serve before, during or after training. Acetyl-L-carnitine is a naturally occurring amino acid. Carnitines are responsible for the transportation of fatty acids into the cells of the body where they can be used as energy. Elevating levels of carnitine can also improve physical performance by sparing glycogen, clearing lactic acid, reducing fatigue and optimising some hormone levels. It is also a powerful cognitive enhancer and can protect and improve overall brain health. Dose: Take as directed – usually 2g twice a day, first thing on the morning on an empty stomach and again after lunch time. So there you have it – my current supplement stack! If you are interested in trying the INC Sports supplements, you can find all of them HERE. I should also note that I follow a diet which has been structured in accordance with my goals, that includes me eating a balanced amount of protein, carbs and fat – of which at least 80% comes from whole, unprocessed foods. 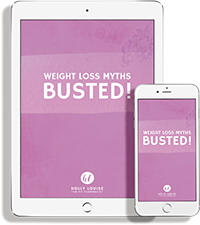 If you need assistance with structuring a diet to allow you to reach your goals then click HERE. DISCLAIMER: I would recommend to get a full blood examination through your doctor to identify possible deficiencies of vitamins and minerals or existing health conditions. Always check with your doctor/pharmacist before starting any new supplements.